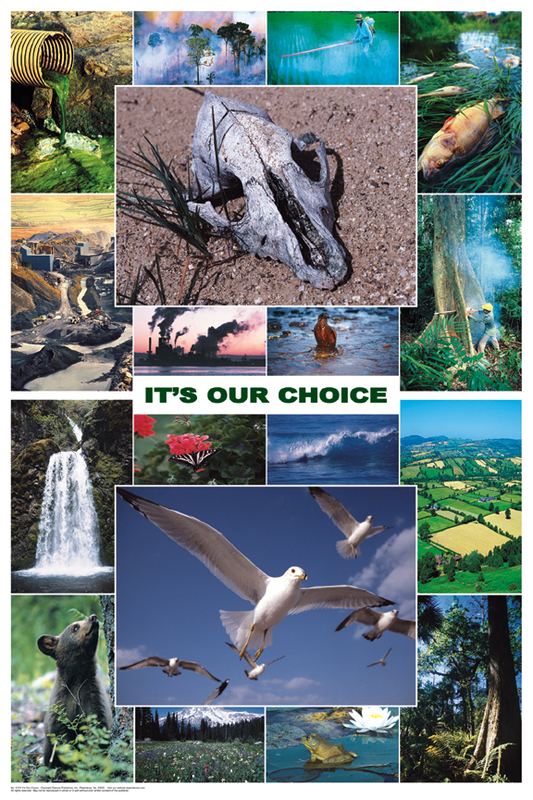 The top half of this poster presents a montage of photographs showing the many ways that man has found to abuse and destroy our fragile planet. The centrally located skull in the top half represents death. The bottom half presents a montage of a healthy environment that can be achieved through good stewardship. The flying bird located in the center symbolizes life. The title clearly states the issue, "It's Our Choice."